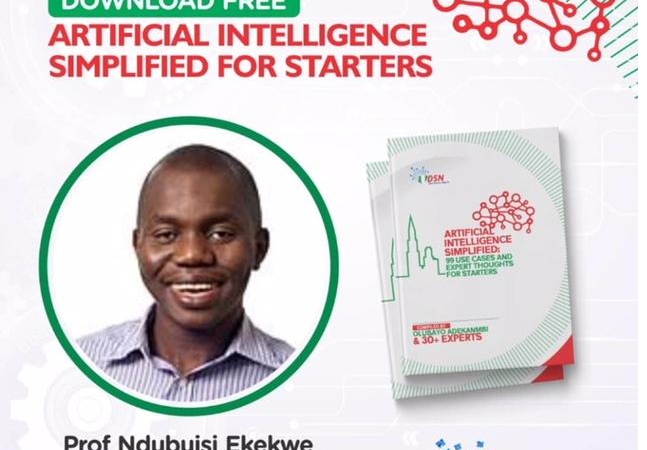 First, congratulations to all the contributors to the Data Science Nigeria’s AI book – Artificial Intelligence Simplified for Starters. It is the best AI book any person from our continent can read, to get a good idea, on how to enter a new technology trajectory which is expected to be as impactful as the invention of fire or electricity. In this continent, we do not read a lot – yes, we talk more and that remains the key reason why Africans did not invent indigenous way of writing at scale (except Ethiopians) until the colonizers came. 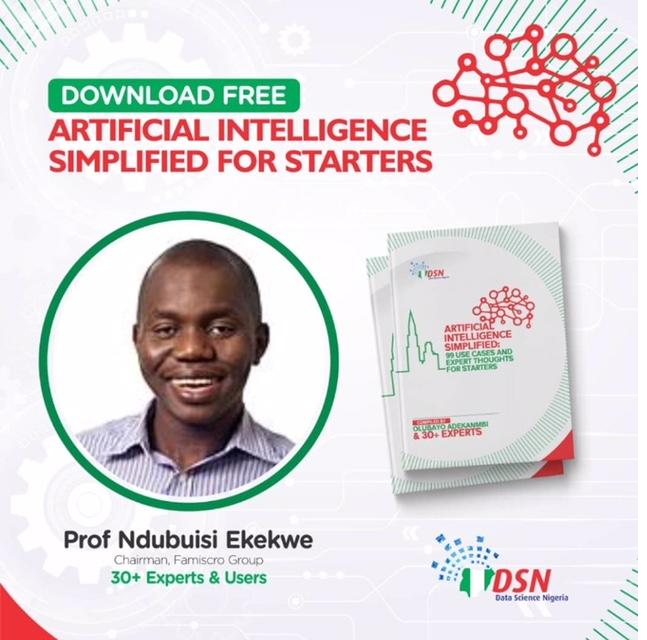 Notwithstanding, Artificial Intelligence Simplified for Starters received 10,000 downloads within 24 hours. DSN team has also been receiving feedbacks; one went thus: “with this understanding of AI possibilities, I can start my Machine Learning 101 with high sense of purpose, energy and what I can do with my learning and not just coding”. DSN is just starting. This is where you come in. It wants to make AL learning videos with local context and data. It needs your support. In this regard, DSN is providing a second download option via Amazon Kindle, Apple iBook, Kobo, Barnes&Noble etc at a donation of $2.99. Please if you can, support – DSN is a registered charity and has done a great job in the community.